Roger Federer booked his 12th career final at the ATP Halle grass tournament on Saturday, beating qualifier Denis Kudla 7-6 (7/1), 7-5. He will face Croatian Borna Coric who advanced 2-3 when Spanish fourth seed Roberto Bautista Agut had to retire after slipping on the grass and injuring himself. Federer's win was his 20th in a row on grass, dating to June, 2017. 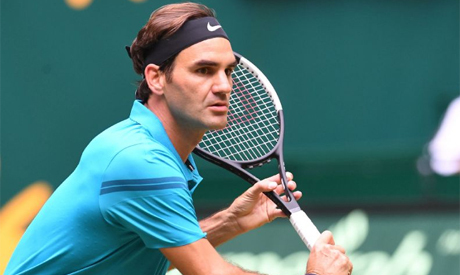 Federer is back in a familiar spot in Halle, which models its Centre court after its namesake at the All England club, as he works to fine-tune with a Wimbledon title defence starting a week from Monday.